Metropolis Technologies is a streamlined call accounting and reporting solution. ATD is an authorized reseller of Metropolis Technologies’ Call Accounting, Call Reporting, and Telemanagement solutions. 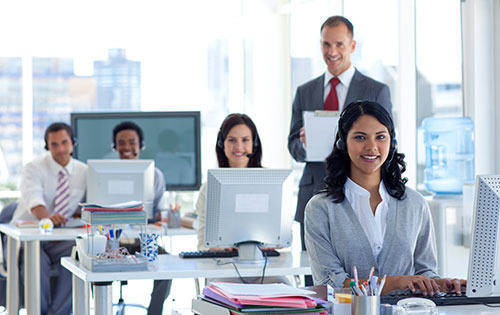 These easy-to-use, affordable call tracking and call costing systems help organizations to gain insight into their voice communication network to reduce costs, improve productivity, reduce liability, and increase revenue. After implementation of this system, you’ll notice an immediate improvement in customer service. You will gain access to tracking agent performance and identify how often, and for how long, your customers are waiting to be helped. From security measures to revenue-generating features, Metropolis Technologies’ is a robust solution. Experience call accounting and reporting like never before. Your organization will have the ability to eliminate phone abuse with immediate toll fraud alarms that are sent via screen pop-up, email, or even via text whenever suspicious call activity is detected. Utilize powerful and intuitive tools to increase productivity. Your sales staff will be motivated to boost their inbound and outbound phone goals with scheduled call volume reports they receive daily, or even hourly. Lastly, you’ll notice a drastic reduction in expenses with accurate call costing and rate tables that track and identify expensive and long-duration calls.